A clear skin cleansing gel suitable for oily and overactive skin. Andalou Citrus Kombucha Cleansing Gel has Fruit stem cell complex with Argan stem cells and Kombucha probiotics which gently diffuse into a creamy lather of rich emollients. Willow bark purifies pores and Aloe vera polysaccharides whisk away excess oil and dull, dry surface cells for a clear, balanced complexion. 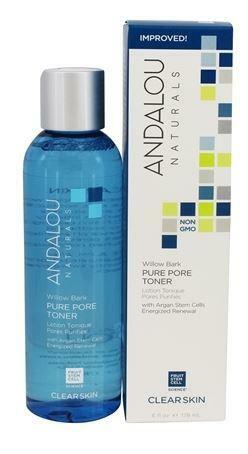 How to use Andalou Citrus Kombucha Cleansing Gel; AM & PM. Apply to damp skin, gently massage, and rinse clean.